This is pretty old so I dont think you'd still check the forum, but... First of all, thank you for this. 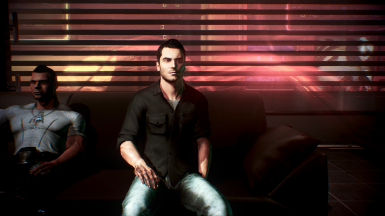 The non-dlc version bugged my game when I try to give Kaidan N7 Hoodie, lol, so I had to fix it with HR Uniform and give Kaidan Leather Jacket with DLC instead. 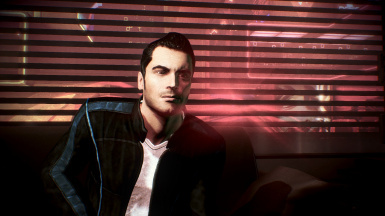 Any chance you gonna add Kaidan's hoodie in DLC format <3 ? I need that hoodie swap lol. It's fine if you retired from modding for this game, I still thank you for your work :). Seconding, I would personally love the gray Alliance hoodie for him. That's fair, thank you for the instructions! Hrrm. Was this incorporated into Project Variety? Will this change the intro outfit at all? I'm worried about changing around DLC after installing a lot and associated textures. Yes, it changes his outfit in every appearance, save the second Huerta visit. 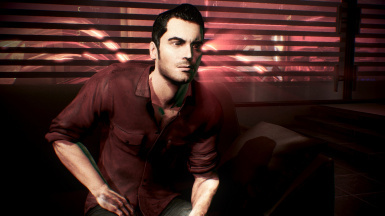 If you'd rather he wear his standard crew uniform during the intro, simply disable the dlc by putting an X in the beginning of its name, then reenable it after Mars. Thank you for the mod. I couldn't quite make ME3Explorer work for Consolidated Casuals to work without crashing. I know it's been more than a year, I hope you'd repackaged Dress Uniform into DLC version. Thanks again. I'm glad you enjoy them :) Unfortunately, I have little time or ability to mod these days, so I won't be doing any conversions. Starting a new thread, lol. I'm trying to follow the instructions for the DLC replacer you posted; I'm using Kaidan White Shirt Blue Jeans as the "base", and I want to replace the textures with the gray Alliance hoodie. Got it, I'll give it a go and let you know if I need further assistance. I could do a permanent replacement using the hoodie textures (I do know how that works), but it would be way faster to test if I like it with a DLC file. If the textures are in Texplorer properly (the DLC shows in the pcc window) but the tpf still isn't working, you can just manually replace the textures for the DLC files in Texplorer instead. EDIT: I've been doing well so far, but when I click on "Import LOD" to import the hoodie mesh, nothing happens. I don't get the "Done" dialogue box until I close out Meshplorer. 1.09 did the trick! But there's no option to Save PCC. EDIT: I think it auto-saved itself?? 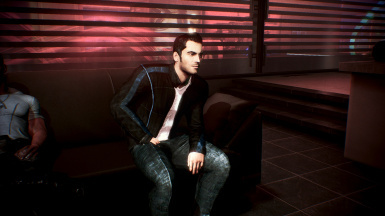 When I loaded the game, Kaidan was wearing the hoodie! I did notice that it replaced Voodoo's Silver Fox head with the Vanilla head; any suggestions on that? princessdemeter, Is there a way to switch from the Blue Alliance BDU to one of the other colors? Can I change the DLC texture in ME3Explorer? 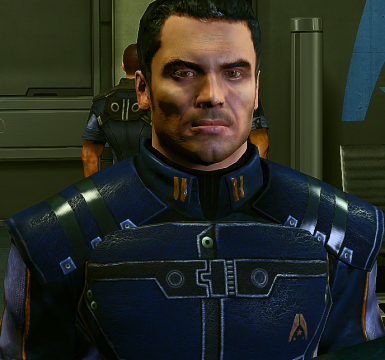 Sorry but I am having a difficulty finding the instructions on the Consolidated Kaidan Casuals description for switching the BDU color texture in the DLC using ME3explorer. Can you please point me to it? It's at the very bottom of the downloads page. It's a generalized instruction, but will explain how to swap the textures. Is this compatible with BackOff? Sweet thanks Scottina. I asked cause I was looking at "Consolidated Kaidan Casuals" by princessdemeter and the description said they weren't compatible with BackOff, and since these mods do the same thing I thought I might ask. Thanks again! 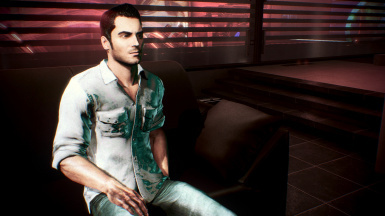 The DLC versions do not edit the second Huerta hospital visit at all, so Kaidan will revert to wearing his default crew uniform during that scene regardless if BackOff is installed or not. It is a very minor, purely aesthetic incompatibility with the Consolidated versions and absolutely nothing else in either mod is affected. Ah okay, thanks for the awesome response demeter!! Nice mod, but unfortunately it doesn't work for me. When I launch the game, a message appears saying that the DLC content is broken and cannot be used. It suggests to download it again. It happens the same also for the Citadel Redone Mod, and I can't figure out why. Any idea? If you're still going to add outfits, would you consider giving Kaidan the gray hoodie you used for Jacob? I know it wasn't made by Princess Demeter, but I just think it would suit him. I have actually been planning to do a hoodie for some time now, I just haven't had the time. I have in progress textures for the grey hoodie as well as a blue version and had even planned (but not started) a Spectre version based on his official Bioware hoodie. Given some time, and a chance to double check with Ottemis, I can probably finish up the ones I have then pass them on to Scottina123 to add. I would greatly appreciate it if you did. I know nothing about modding ME3 so I have no idea how long it takes, but take your time. 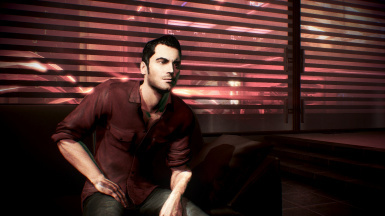 Can you give Kaidan's leather jacket 4k textures from this mod? http://www.nexusmods.com/masseffect3/mods/478/? I would need the author's permissions to do that and upload them. You can do it yourself with a bit of time and some basic photo editing software, though.